If you are looking for a project involving all of those wine corks you've been saving, try creating a wine cork backsplash for the kitchen. A backsplash decorates the wall and provides texture, color and warmth. Wine corks offer a natural element because of the cork fiber, and can give the kitchen a wine theme. To create a backsplash out of wine cork, save up enough for where you envision the backsplash being placed in the kitchen. Measure the dimensions of the backsplash area in the kitchen. You need to get the width and height for the backsplash, which you will use to figure out how large or small to make the backsplash. This also tells you how many corks you will need for the project. Slice the corks in half, lengthwise, with a utility knife. The flat side of the cork is what will be pressed up against the wall, while the rounded side will face out, giving the backsplash dimension. This is an effective way to get a larger surface area, too, because you will end up with double the amount of corks. Glue the wine corks together in rows with a hot glue gun. Place the glue from the gun on one side of the cork and press a second cork up to it to make the linear connection. 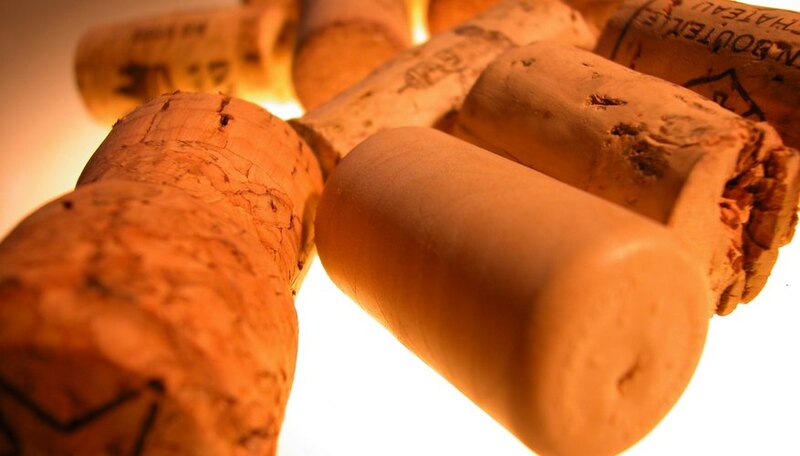 Continue adding more corks to the row to achieve the total length that you need. Glue the individual rows together. Apply glue from the hot glue gun in between the rows to attach them. Attach the rows until you reach the desire width for the backsplash. Allow the backsplash to dry for 24 hours before mounting. Mount the backsplash to the section in the kitchen where you wish to hang it, flat end against the wall. You can use the hot glue gun to mount it, since wine cork is lightweight, by applying the glue directly over the tile of the all and pressing the backsplash into it. Hold the backsplash in place with your hands until it feels strong enough for you to let go.